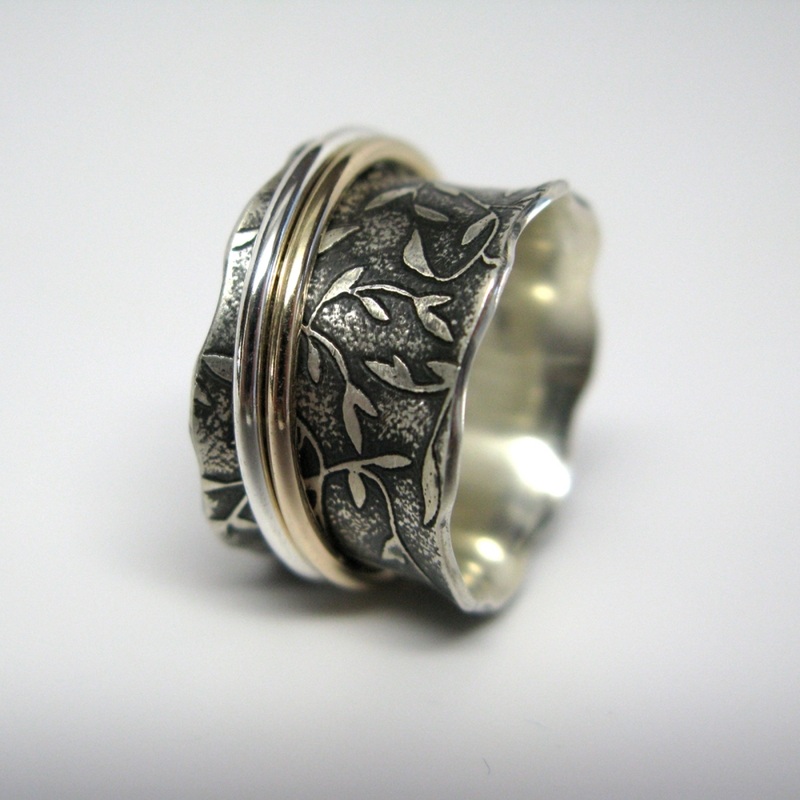 Leaf pattern etched into sterling silver sheet and fabricated into band. Sterling silver and 10k gold spinner rings float freely around band. Patina finish. Scalloped edges sanded smooth for nice soft finish. Can order different widths: Small (3/8"), Medium (1/2") and Large (5/8".) When ordering, indicate ring size and width choice. For medium and large sizes: add a half a size more than what you normally wear for small bands. Allow 1 to 2 weeks for fabrication. Thanks!